Cover: The First Automated Library Storage and Retrieval System in Taiwan Unveiled. Prof. Yu-Yu Cheng is soft-spoken and auraed in a warm radiance. As she talks about literature with a sparkle in her eyes and a smile on her lips, her deep love of literature shines through her calm demeanor. Prof. Cheng is a chair professor at NTU’s Department of Chinese Literature and an academician of Academia Sinica. Now also serving as Director-General of the Department of Humanities and Social Sciences at the Ministry of Science and Technology (MOST), she is still conducting her treasure hunt through the emotional terrain and imaginary oceans of literature. Prof. Cheng’s entry into the literary world began with her study of the classics of the Six Dynasties. Amid the political turmoil and unrest of that era, she recognized a landmark transition in Chinese classical literature, which gave rise to new literary expressions of a greater depth and breadth. Prof. Cheng excels in wedding the humanities and thought systems of the East and the West to blaze a visionary trail for classical literature. She identifies connectivity, comparability, and parallels in literary creations, and reveals deep interfaces between the ancient and the modern, the East and the West. The sparks and imaginary extensions arising from the encounters are nothing short of fascinating. Also, literary theories have been an integral part of the formation of social climates and political ideologies in both the East and the West. The foundation of literary theory, therefore, lies in the primitive form of “structures of feeling”: these structures lend a chalice to cultural implications, a frame of reference to literary representations, and a perceptive infrastructure to our lives. Sparked by her curiosity about “structures of feeling,” Prof. Cheng delved into profound literary researches, wherefrom she began to develop an inclusive, interdisciplinary map of her thoughts on her voyage through literature. Prof. Cheng has made numerous achievements in interdisciplinary research and gained international renown for her studies of space, body, and lyrical tradition. In recent years, she has shifted her research focus to the new relationships between modern knowledge experience and literary expression. Electrified by this turn in the interview, Prof. Cheng became animated in her discussion, hands gesturing expressively and eyes shining even more brightly. She said her recent studies had given her much food for thought. Oftentimes, one’s literary knowledge is acquired and perceived trhrough his o her sensibility, leading to subjective emotional judgments that seem to be remote from scientific knowledge and reason. Nonetheless, the emotional, subjective value judgements made through one’s literary experiences can result in fresh interpretations of existing ideas and notions. Such interpretations could possibly start an intellectual and philosophical movement, or even inspire a new understanding of human knowledge among people of different backgrounds and generations. Literature is more than just a frivolous pastime for Prof. Cheng. To her, it is knowledge with a mission by which we can explore the highest and lowest places in human society and the human spirit, where we hope to find not absolute truth but the truth of the tale. Moreover, literature is capable of broadening our aesthetic sense and sharpening our critical thinking – these two aptitudes construct the infrastructure of our lives. Prof. Cheng took it further by saying that we have been so heavily conditioned by all the high-tech offerings that we go about our cookie-cutter lives day after day as if indentured. The aesthetic sensibility offered through literature, therefore, becomes all the more vital. This sensibility allows the mind to wander and the imagination to take flight without imposing a rigid preset framework on them. Between the pages of literary works, we expand the breadth of our lives and nourish our spirit with marvel and magic like no technology can. However, Prof. Cheng shook her head no when asked if technology would stifle literary development. Instead, she opined that technology can provide more media and thus expand the variety of literary thoughts, perceptions, and expressions. She often encourages students to read both the paper and electronic editions of the same book under study and to observe plotline transitions and film editing of movies adapted from novels, to compare the differing presentation techniques and perspectives associated with the distinct media. She also mentioned a seminar on “AI Literary Dreams” co-hosted by MOST and the Ministry of Culture, in which a contemporary poet and a popular AI-enabled lyrist began a dialog and created poetry on the spot for the audience to feel the difference between the two. Prof. Cheng pointed out that literary criticism has gained increasing importance in modern society. Literary works of various genres open new doors and help us foster mutual respect and understanding. Moreover, the boundaries of literary writings have become increasingly blurred nowadays. Therefore, the best approach for any literary scholar is to keep an open mind to all kinds of writing and appreciate the sentiments and purpose of every literary creation. Q : Which character in what book do you see yourself as? I want to be someone like Henry David Thoreau, who authored Walden. I share his vision in being a thinker free from worldly strife. Q : What would the motto be if you were to give one to your students? Q : What is your most unforgettable classroom experience? Every student broke down in tears after a poetry reading and discussion. Also, it is moments when my students tell me that they still remember something I said decades earlier. That really touches a heart string. Q : How would you describe the role of a professor? A professor is someone who creates knowledge and puts theory into practice. Q : What are your favorite literary works? Besides Walden, I enjoy The Great Flowing River by Prof. Pang-Yuan Chi. In terms of classical literature, both The Book of Odes and Verse of Chu are my favorites. Q : What pained you the most during your school career? I think pain and happiness are just two sides of one coin. Thinking through the problems at hand was a painful process; but the happiness experienced after thinking things through was priceless. Q : What do you do for fun besides conducting research? I like growing potted plants. Even though I don’t have much of a green thumb, it gives my mind a break. I also enjoy binge-watching my favorite TV series on Netflix! The Office of International Affairs at NTU has filled this year’s event calendar with gala festivities. The month of November featured a flurry of symposiums, beginning with the Association of East Asian Research Universities (AEARU) and the Presidents’ Forum on November 14, followed by the “Campus in Campus” that NTU cohosted with the University of Tsukuba two days later. These events were graced by 175 participants, including 19 university presidents and 49 vice presidents, from 69 universities across 25 countries. Notably, over 20 of the institutions that sent delegates to NTU’s 90th anniversary celebration were ranked among the World’s Top 100 Universities. Meanwhile, NTU’s strategic partners in the academic community, including the University of Tokyo, Kyoto University, Peking University, the University of Illinois at Urbana-Champaign, and Universität Hamburg also sent representatives to NTU’s celebratory events. The AEARU 43rd Board of Directors Meeting and 24th Annual General Meeting were attended by 42 representatives from 13 universities across five countries. The representatives included President Kyosuke Nagata of the University of Tsukuba, President Hideo Ohno of Tohoku University, and President Yong-Hak Kim of Yonsei University. The participants were treated to a nostalgic look back at some of the events hosted by the member universities in the past. As one of the founding members and incumbent vice-chairperson, NTU pushed for greater participation by its faculty and students in the various meetings hosted by other schools, including a seminar on environmental wellness organized by Tsinghua University and summer programs presented by Peking University and the University of Science and Technology of China. This year, AEARU welcomed a new member into its fold: National Chiao Tung University (NCTU). Its membership was approved following active lobbying by NTU Interim President Tei-Wei Kuo and Vice President for International Affairs Luisa Shu-Ying Chang. Together, they convinced fellow member universities to consider NCTU’s dominance in Taiwan's electronics, computer, and business sectors, given its strong leadership technology. At long last, NCTU became the 19th member of AEARU. The Presidents’ Forum opened with remarks by NTU Interim President Tei-Wei Kuo and Minister of Science and Technology Liang-Gee Chen. The two speakers shed light on the importance of the transregional and transnational exchanges of experience and insights in the current international climate. They also expressed high hopes for NTU to be a mover and shaker in the international higher education community. The forum featured an array of speakers who explored ways to enable effective integration and globalization strategies. Dr. Reitumetse Obakeng Mabokela, Vice Provost for International Affairs and Global Strategies of the University of Illinois at Urbana-Champaign, and Susanne Rupp, Vice President of Universität Hamburg served as moderators. The speakers included: President Andrew Petter of the Simon Fraser University, President Lise Dumasy of ComUE Université Grenoble Alpes, President Mahmoud Nili Ahmadabadi of the University of Tehran, Chancellor Björn Kjerfve of the American University of Sharjah, President Hideo Ohno of Tohoku University, President Yong-Hak Kim of Yonsei University, President Heisook Kim of the Ewha Womans University of South Korea, President Eden Woon with Asian Institute of Technology, and President Way Kuo of the City University of Hong Kong. President Kyosuke Nagata of the University of Tsukuba, President Bernd Engler of the University of Tübingen, President Hideo Ohno of Tohoku University, and President Kazuya Masu of the Tokyo Institute of Technology delivered congratulatory speeches at NTU’s anniversary celebration ceremony, tea party, and gala dinner. In their speeches, they acknowledged their longstanding, constructive bilateral partnerships with NTU. The University of Tsukuba went the extra mile in their acknowledgment, as 30 representatives from the school wore costumes emblazoned with the emblems of both universities and cheered heartedly for NTU. Moreover, 37 university presidents and chancellors from 13 countries pre-recorded their congratulatory speeches. They were Chancellor Gene Block of the University of California at Los Angeles, President Santa Ono of the University of British Columbia, Vice-Chancellor and Principal Michael Spence of the University of Sydney, and President Juichi Yamagiwa of Kyoto University. Lastly, Chancellor Henry T. Yang of the University of California at Santa Barbara, an alumnus of NTU, expressed his heartfelt gratitude to his beloved alma mater, and expected to see NTU grow and head towards a century of even greater excellence in both academic achievement and social service. This year’s “Road to the World,” NTU’s Study Abroad Fair, was expanded in scope specifically for the anniversary celebration. Over a hundred booths were set up, and hundreds of exchange students thronged to the event. The anniversary souvenir launched as part of SoNTU’s collection featured limited-edition canvas tote bags in various colors, adorned with NTU’s signature “school tree” – royal palm tree, made a wonderful gift to mark the occasion. New exchange and partnership programs were initiated with several schools, as well, reflecting NTU’s growing influence in the higher education sector here in Taiwan and overseas. NTU has made history once again, this time by introducing Taiwan’s first Automated Storage and Retrieval System (ASRS). The new system promises readers and researchers on NTU campus an even more enjoyable, convenient experience when checking out the materials they need. ASRS was officially unveiled on October 30, 2018, on site in basement 2-4 of the Multi-Purpose Classroom Building. The ASRS Service Center is located on the ground floor. ASRS features the latest warehousing technology using electric track conveyors and stackers to transport the various book bins on their racks. This computer-managed storage system effectively stores periodicals and books in the bins, facilitating a smart drop-retrieval process to ensure savings in natural resources, energy, transport, and construction costs. This particular service became a reality at last following years of planning, assessment, and intensive research on similar systems implemented overseas. The planning process also took NTU’s library development program into account. Nippon Filing from Japan and two local firms in Taiwan won the bid to launch the project, which officially commenced in April 2017. The underground space of the Multi-Purpose Classroom Building was reserved to house ASRS, featuring a 10-meter rack structure for storage and retrieval, with four types of book bins to maximize space use efficiency. It is estimated that the system could accommodate at least 1.2 million books, if the individual materials are three cm thick on average. Only one-fifth of traditional volumes could be stored in the same space allocation using conventional storage methods. The computer-enabled system also enhances storage efficiency and retrieval speed and accuracy. Moreover, the system’s innovative inventory performance can improve stack-room management effectiveness and enable the library staff to keep tabs on the bins’ holding capacity at any time while forecasting the system’s future available space. Using ASRS, library patrons can place a book reservation online and have the item delivered to the Information Desk in the ASRS Service Center within two minutes, saving a great deal of retrieval time. 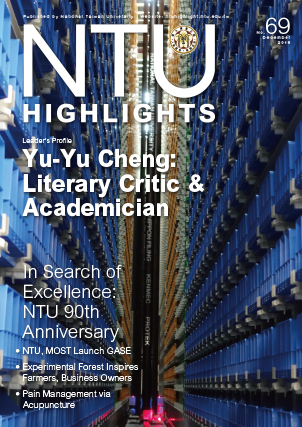 This year, NTU Library is celebrating its 90th anniversary and has continuously reinvented its management and access performance to better serve the library patrons. The Library currently houses four million printed and bound materials. Including its electronic collections, it now holds over eight million volumes, topping the nation in collection capacity and holdings. In the past, the Library always sought to expand its shelving space to hold the endlessly increasing materials, but over time the Library’s storage capacity began to burst at the seams. With ASRS in place, NTU Library now has greatly enhanced spatial and service flexibility. The system is a fitting upgrade to mark not only the Library’s 90th anniversary but also the 20th anniversary of the Library’s move to its current site. Interim President Tei-Wei Kuo and guests tour the Automated Storage and Retrieval System (ASRS). Transnational and transregional alliances for science engagement that are focused mainly on thematic studies are gaining traction in higher education and research communities worldwide. This trend reflects a growing interest in interdisciplinary and transdisciplinary collaboration to expand the breadth of research efforts and more effectively address major challenges. To that end, NTU and the Ministry of Science and Education (MOST) established the Center for Global Affairs and Science Engagement (GASE). The inauguration ceremony was held on November 14, attended by over one hundred academic leaders from 75 prestigious universities across 25 countries, including 45 presidents and vice presidents. At the ceremony, MOST Minister Liang-Gee Chen expressed the hope that GASE would stir a new wave-front in Taiwan’s scientific research and innovation endeavors, by acting as an accelerator for engaging Taiwan in international cooperation and fostering the country’s innovative research in the global research community while effectively addressing key global challenges with Taiwan’s global partners. From a local perspective, it is anticipated that GASE will also support research growth and make meaningful societal impact. Initiated by NTU, the concept of GASE was accepted by the National Taiwan University of Science and Technology and National Taiwan Normal University – the three universities constituting the NTU System. This higher education alliance in northern Taiwan formed a preparatory planning task force for GASE, with an express purpose of building an accelerator to consolidate Taiwan’s presence into the global scientific research community. This international collaboration framework could act as a fulcrum to leverage Taiwan’s existing advanced research programs to establish a robust, high-impact infrastructure. It is anticipated that this global cooperation mechanism will flourish and diversify to provide systematic guidance on Taiwan’s policy directions and resource deployment. GASE consists of an international exchange channel and a global cooperation module to enable academicians and researchers in Taiwan and overseas to develop alliances among higher education institutions with the strongest research capacity, thus advancing Taiwan and NTU’s engagement in cutting-edge international research activities while nurturing and empowering local researchers. 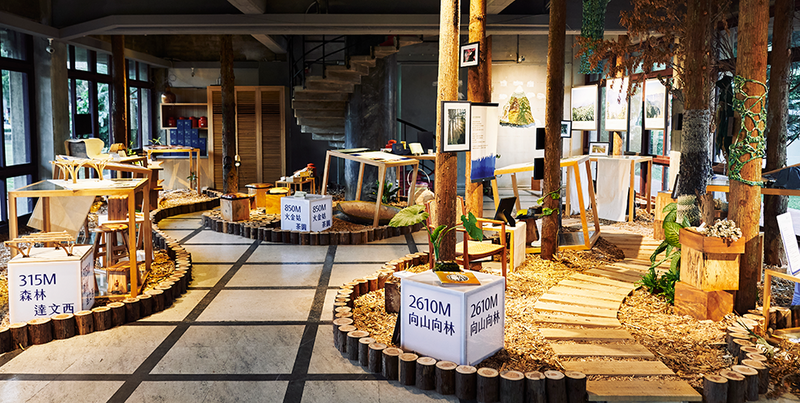 To celebrate NTU’s 90th anniversary, NTU Center for the Arts presented “NTU and the Beyond” in late 2018 – an extension of “In the Woods We Live,” a 2012 wooden furniture exhibition organized in collaboration with NTU Experimental Farm. Exhibition space for music performances in the Odeum. “NTU and the Beyond” featured a series of artistic events themed around the cradle of woodworking – the forest – offering us a perspective into the school’s forested campus in central Taiwan, where students attend internships and conduct research. As these aspiring students find respite and inspiration in the deep green woods, they discover a common ground with Leonardo da Vinci who embraced nature as his muse which inspired his inventions and artistic creations. Every year, NTU Experimental Forest welcomes about 5,000 NTU students into its leafy bosom to explore and study. In an exhibition held at the Agricultural Exhibition Hall on NTU’s main campus, the Forest was presented as a wooded campus community where stories are told, images are captured, aromas of local tea are savored, and artistic creations are welcome. In the Odeum, a former chapel converted into an auditorium, artist Poki Chang delivered a moving performance that combined forest images and sounds to translate the messages of the brook, the light, and the mist. Time paused, and space and music began to tango on the forested canvas. On a fine sunny day, the view from atop any of the tall buildings on the main campus is equally amazing. The campus is nestled among some of Taipei Basin’s lushest parklands and greenest hills. This perspective offers a promise that makes our lips curl in smile at how far NTU has come. The future belongs to us at NTU, who believe in the promise of our dreams. Right: Experimental exhibition in the Odeum. NTU Experimental Forest was formerly an affiliated experimental forest of Tokyo Imperial University during the Japanese colonial era. Spanning Lugu, Shuili, and Xinyi, the Forest borders Mt. Jade in the south and abuts Zhuoshui River to the north, stretching to cover the north peak of Mt. Jade and Pattonkuan to meet Chenyulan River at the hem. The Forest is 32,770 hectares in area and boasts an incredible 3,700 meters in altitude difference, hosting a range of rich bioresources and a variegated research-worthy topography. Soon NTU will celebrate the 70th anniversary of the takeover of the Forest. Plans are underway to integrate local indigenous communities with forest ecology measures to ensure sustainable development. Forest therapy programs, organic tea farms, and strategic alliances with businesses will also be promoted. Indeed, the greatest artistic inspirations are stirred by the muse of a forest wilderness. Special Exhibition on a Wooded Campus. The unveiling of the Feature Collections for NTU’s 90th Anniversary was one of the main events arranged to celebrate this significant milestone. The book launch was hosted in the Administration Building on November 6, attended by Interim President Tei-Wei Kuo, administrative leaders of NTU, members of the NTU editorial board, and several authors, including Dr. Simon Sze, Dr. Lian-Gong Chiou, and Dr. Ching-Hsi Chang. The attendees gathered to witness the academic and socioeconomic impacts NTU has made over the past 90 years. NTU Press Director Tay-Sheng Wang delivered an introduction to the collections, which had undergone a rigorous selection process. The publication contains many of the most representative classics in the humanities, sociology, science, technology, agronomy, and public health. This range of fields reflects NTU’s academic breadth and wealth of significant contributions to human knowledge while the selections pay homage to the scholars who poured their heart and soul into their work. The collections cover a long time span ranging from the Japanese colonial period, the postwar era, to the present, and are written in several languages (e.g., Chinese, Japanese, and English). The long time span and multilingual presentation encapsulate the socioeconomic transformation Taiwan has experienced over the past 90 years. Dr. Kuo noted that for an individual, 90 years of age suggests spiritual and emotional maturity, for their life has come full circle. However, for an institution of higher learning, the passage of 90 years is merely a phase. NTU has been beset with numerous changes and challenges in recent months; yet there is no looking back now as the university commits itself to continuing being a change-maker for Taiwan, as it always has. NTU has also been an incubator for many cutting-edge research efforts, education reforms, and opinion leaders. NTU faculty and students are also progressive thinkers, and their devotion is manifested in many areas, such as seed culture, medical service, public health, and technological innovation practices, which are documented and discussed in the collections, to augur what lies ahead for Taiwan. Each collection has an introductory section by experts and scholars to guide readers through the volumes. NTU Press plans for these collections to form a classic that bridges past and future in the vast spectrum of human knowledge and resonates with the great monuments of human thought, innovation, and literature. A CT scan on tumors in the pulmonary region. NTU added another feather to its cap. In the historic city of Athens, Greece, NTU_MiRA, a team made up of undergraduate and graduate students majoring in electrical engineering and computer science, was awarded 2nd Runner Up in the 2018 IEEE Signal Processing Society Video and Image Processing (VIP) Cup. Medical imaging data has become a prominent research focus in medicine, electrical engineering, and computer science. This new focus can be attributed to recent advancements in machine learning technology, particularly in the area of deep learning, which enables significant breakthroughs in the analysis and generation of images, speech, and words. NTU’s College of Electrical Engineering and Computer Science (EECS), one of the innovation leaders in the group, continues to deliver and make waves in transdisciplinary studies in medicine and EECS. The team from NTU’s College of EECS was awarded 2nd Runner Up in the 2018 VIP Cup, a competition hosted by the IEEE Signal Processing Society, for delivering identification accuracy and technological innovation for this year’s topic, “Lung Cancer Radiomics - Tumor Region Segmentation.” The team traveled to Athens, Greece for the presentation and commendation ceremony. NTU_MiRA was beset by numerous challenges from the very beginning, but the students were determined and made stepping stones out of these frustrations. The most daunting part of the project was that such tumors could appear in any size, any form, and any place in the pulmonary region. This year’s competition also dictated that only limited training data would be allowed for the actual research, and this restriction made the team undertake numerous trials. Led by Prof. Winston Hsu of the Department of Computer Science and Information Engineering, the team was officially formed in June, and soon courageously ventured into new frontiers in the design of convolutional neural networks (particularly deep learning models for image recognition). The team also applied its research findings to medical science, hoping to identify and develop innovative solutions for the challenge. Prof. Hsu also offers his mentoring skills to the Communications & Multimedia Laboratory (CMLab) at NTU, a project committed to the innovation of human-centric media technology. CMLab collaborates extensively with renowned partners, such as Nvidia and Microsoft Research Asia (MSRA). It is also an active member in projects spearheaded by the “AI Innovation Research Center” programs under the Ministry of Science and Technology. The 15th Annual Meeting of the Science and Technology in Society (STS) Forum 2018 was held during October 7-9 at the Kyoto International Conference Center. 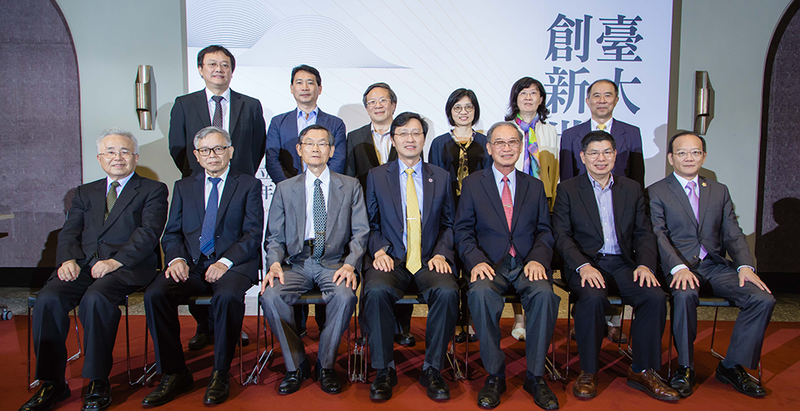 NTU Interim President Tei-Wei Kuo was cordially invited by Koji Omi, Founder and Chairman of STS Forum, to attend the University Presidents’ Meeting. This invitation is considered a symbol of respect, as the STS Forum is known to be a meeting of elite front-runners in business, the public sector, and academia. Interim President Tei-Wei Kuo at the University Presidents’ Meeting. Besides the University Presidents’ Meeting, the organizer also hosted parallel sessions on eight themes: energy, life sciences, engineering and innovation, environment, cooperation in science and technology, science and technology and society, information and communications technology, and social infrastructure. Experts and scholars from around the world participated in the sessions to share their insights and management strategies. The STS Forum opened on October 7, and Japanese Prime Minister Shinzo Abe addressed the opening plenary session. 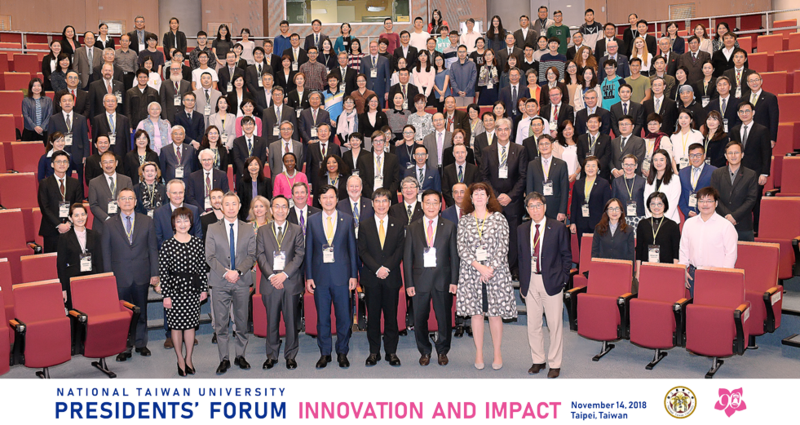 The Forum and the University Presidents’ Meeting were attended by delegates from 82 of NTU’s sister schools, including 33 presidents and 20 vice presidents. NTU first participated in the Forum and the Meeting in 2012. Since then, NTU has realized the benefits of these events where partnerships are built and support found. Interim President Kuo and Vice President for International Affairs, Luisa Shu-Ying Chang, actively took part in both of these events and joined the parallel sessions, discussing themes like how higher education could adapt smoothly with the shifting social dynamics. They also invited NTU’s sister universities to Taipei to join NTU’s 90th anniversary celebration. The University of Tokyo and the California Institute of Technology joined hands to organize the 2018 University Presidents’ Meeting. Participating presidents and school representatives were divided into six teams to explore two topics: (1) The University as a Platform for Change and (2) Cultural Attributes for Success over the Centuries. These two topics covered a wide range of concerns. Besides serving as the moderator for the second session, Dr. Kuo proudly described NTU’s innovative and creative curricula, effective training in secondary skills, and wide array of foreign language and cultural programs, extracurricular clubs, and online courses. During the event, Dr. Kuo deliberated with President Dieter Lenzen of the University of Hamburg on future collaborations. They agreed to build a trilateral partnership with the University of Tokyo, initiate staff exchange programs, offer summer programs, and launch dual doctoral degree programs. In all, NTU’s participation in the STS events was productive and fruitful. The most precious outcome of all are the new friendships and academic coalitions established. Dr. Shen and his team published their findings in PNAS in a research article titled, “Multidecadally Resolved Polarity Oscillations during a Geomagnetic Excursion.” DOI: 10.1073/pnas.1720404115. NTU enjoys a broad network of friendships worldwide. These friendships lead to formation of strategic partnerships with leading universities that share NTU’s academic and student-empowerment vision. And Kyoto University (KU) is one such friend. On October 15, KU President Juichi Yamagiwa led a delegation of 10 members, including KU’s executive vice president and representatives from the Institute for Liberal Arts and Sciences, Graduate School of Agriculture, and International Affairs Division, to visit NTU for the school’s 90th anniversary celebration. They joined Interim President Tei-Wei Kuo, Vice President for International Affairs Luisa Shu-Ying Chang, and others at a formal luncheon. Kyoto University’s representatives tour the Gallery of NTU History. President Juichi Yamagiwa is a primatologist and anthropologist. True to his calling, he specifically asked to visit NTU’s Museum of Anthropology and Museum of Zoology. Professor and Chair of NTU’s Department of Anthropology, Kai-Shyh Lin, along with three other professors – Maa-Ling Chen, Mu-Chun Wu, and Cheng-Heng Chang – presented President Yamagiwa to an ongoing VR exhibition on archeological sites. Prof. Hon-Tsen Yu of the Department of Life Science gave a presentation on past and present exchanges and partnerships between the museums at NTU and KU. Dean of the College of Life Science, Prof. Shih-Tong Jeng, accompanied President Yamagiwa to view the rare biospecimens housed in the museum; the visit proved delightful for the host and the guest. In particular, the two universities shared the same past as members of Japan’s Imperial University System. In acknowledging this shared history, NTU arranged for President Yamagiwa to visit the Gallery of NTU History for a retrospect on the university’s beginning, while paying tribute to Dr. Ssu-Nien Fu, one of NTU’s most notable presidents, who is remembered for championing university autonomy and academic freedom. While President Yamagiwa expressed his congratulations to NTU on its 90th anniversary, NTU also felicitated Dr. Tasuku Honjo, Distinguished Professor of Kyoto University Institute for Advanced Study, on winning the Nobel Prize in Physiology or Medicine 2018. Spanish is the world’s second most widely spoken native language, after Mandarin Chinese. To recognize the non-native Spanish speakers worldwide and their contribution to the language, the Foundation Duques de Soria of Spain invited non-native Spanish linguists and foreign academicians to Madrid to attend a unique gathering held during September 24-27. Prof. Luisa Shu-Ying Chang, NTU’s Vice President for International Affairs, was the only scholar from Taiwan and one of the very few from Asia (one from each of Japan, Korea, and China) to be invited to join the gathering. Felipe VI of Spain personally welcomed the 58 non-native Spanish scholars and expressed his sincere admiration and appreciation to them, as well as his hope that research about Spanish and in Spanish would be further advanced worldwide. Years of careful planning went into this grand event, graced by the monarch Felipe VI and Duke and Duchess of Soria (the uncle and aunt of Felipe VI). The scale and sophistication of the service awed the Spanish experts, who expressed their profound gratitude to the Foundation and the royals. The guests’ stay in Spain was garnished with soulful flamenco guitar music and an exclusive tour to the world-renowned Museo Nacional del Prado, which was closed to the public to host the delegation of 58 scholars. The welcome banquet held on September 25 was chaired by Duchess of Soria (named Infanta Margarita), a personable and learned scholar who has been blind since birth. She greeted the guests with warmth and Spain’s signature hospitality. As she greeted Prof. Chang, the Duchess correctly identified today’s Taiwan as Ilha Formosa, dubbed by Portuguese sailors in the 17th century. The next day, a ceremony was held at Palacio Real El Pardo near Madrid to pay homage to the international Spanish scholars. The Duchess of Soria gave her opening remarks from a Braille text. The remarks, expressed smoothly and pleasantly, encouraged the scholars to work harder to build a global, scholastic network about Spanish as close-knit and colorful as a tapestry of rich and royal hues. Felipe VI noted that the event was heartfelt, profound, significant, and very special. He acknowledged the contribution of the Spanish scholars and their role as ambassadors of Spanish culture. Many of the institutions of higher education with which these guest scholars are affiliated have engaged in longstanding partnerships with NTU, including the Free University of Berlin, the University of Tübingen, Sorbonne University, the Catholic University of Leuven, Monash University, Korea University, and Kyoto University. NTU’s dedicated medical researchers have exemplified what true commitment to research is, as another NTU study made it to the prestigious Proceedings of the National Academy of Sciences of the United States of America (PNAS) in October, 2018. This study shows that after lab mice receive electrical stimulation in the Neiguan acupoint, an endogenous neuropeptide (orexin) is released from their hypothalamus to inhibit pain responses through an endocannabinoid, which reduces the inhibitory control in a midbrain pain-control region (the periaqueductal gray, or known as PAG). This particular study was based on a research paper first published in The Journal of Neuroscience by Prof. Lih-Chu Chiou of the NTU Department of Pharmacology in 2011. She had led a team of graduate students to apply such an electrophysiological method on lab rats and found that the orexin released can initiate descending pain inhibition through the release of endocannabinoid (Ho et al, J Neurosci. 2011 Oct 12; 31(41):14600-10. doi: 10.1523/JNEUROSCI.2671-11.2011). This discovery shed light on a brand new pain inhibitor activated by the release of endocannabinoid through orexin. To corroborate the physiological significance and clinical application of this pain inhibitor, Prof. Chiou began working with Prof. Yi-Hung Chen from the Graduate Institute of Acupuncture Science at China Medical University in 2012, and spent the following six years completing the study, which was published in PNAS on October 26, 2018. This finding offers a vital scientific argument as to why acupuncture helps relieve pain. Acupuncture has been practiced for over 2,500 years to mitigate pain, and is now a standard treatment for a variety of conditions in traditional Chinese medicine. The World Health Organization has also listed pain relief as one of the 64 curative effects of acupuncture. In the past, pain relief by acupuncture was attributed to the release of endorphins. However, Prof. Chiou’s study has confirmed that the orexin-initiated release of endocannabinoid from the hypothalamus is another crucial mechanism for pain alleviation through acupuncture. This finding is clinically significant, as it may provide an alternative strategy for pain management among opioid-tolerant patients. Once the party begins, conversations pick up, laughter breaks out, hugs are exchanged, and old memories start flooding back: “I remember which upperclassman took me under his wing. The kindness he showed me has stayed with me forever.” Such recollections are shared by many out-of-town students who traveled from afar to NTU for higher education. Many upper level students at NTU are members of their respective county and township associations, depending on where they are from. As soon as entrance exam results are released, these associations start reaching out to the newcomers from their individual hometowns, helping the novices with their housing needs, daily supplies, and class selection. Emotional connections are the cornerstone on which these associations are built: they consolidate friendships between students from the same townships. Throughout the NTU community, students can find one such friendship association for just about every county and township – including the outlying islands – to call their own. Every friendship association will host a “friendship week” each semester. During that week, students throughout the campus may place group orders of signature delicacies and comfort food from their hometowns. Some of the favorites, including bean curd soup, Elate Pudding, and steamed rice cake from Tainan’s Anping District, are featured in “Capital City Week,” and Nobel custard rolls are on display during the “Friends of Yilan” week, to cite just a few. Besides the Friendship Weeks, student members of the associations stage performances, organize volunteer service corps for homecoming trips during the winter and summer breaks, and hold summer camps in local elementary schools. To serve out-of-town students who cannot make it home during national holidays, the associations also host lunch or dinner parties to let them know that they’re not alone. Dong-Ying Yang, an alumnus of the Department of Agricultural Economics, was an active member of the Tainan Friendship Association. He recalls the hard time he experienced when he first arrived in Taipei. But things got better when several upperclassmen reached out to him with midnight pick-me-up treats that helped allay his sense of loneliness. Also, the skits staged by the Tainan Friendship Association on “TFA Night” are highly acclaimed: the scripts, acting, and casting have consistently been crowd-pleasers over the years. Yang once served as the general convener of the event and understands the hard work that goes into the performances and how they become the fondest memories for everyone involved. These friendship associations become veritable “homes-away-from-home” for the out-of-town students, reminding them that they, too, belong to the NTU community. The annual NTU Four-College Softball Tournament between the Colleges of Engineering, Electrical Engineering and Computer Science, Law, and Science kicked off on NTU’s softball field at 9:30 am on November 27, 2018. This year, five teams competed in the tournament: the College of Electrical Engineering and Computer Science team, Department of Engineering Science and Ocean Engineering team, joint Colleges of Engineering / Law team, Department of Mechanical Engineering team, and the College of Science team. Participating faculty, staff members, and spectating family members all enthusiastically took part in this grand event. Unlike years past when the tournaments encountered rainy weather, this year the weather cooperated and was warm and sunny, which fueled the teams’ desire to emerge victorious. The competition was intense as the teams fielded their best players and every player played to the best of their ability. Led to the field by their respective deans, the players sweated profusely in the heat of the fierce competition. Precise cooperation between pitcher and catcher shut out the power hitters. Hitters showed their prowess, and pitchers revealed their skill and endurance as they pitched complete games. The fielders’ tacit understanding of defense created a succession of stunning plays. The hearty cheers of the teammates and family members on the sidelines roused the players’ desire to win time and again. Although it was exhausting to play four games in succession in the heat and dust, every player felt exhilarated facing the competition and played his best to the final out, caring more that their team playing to its full potential than they would enter the winners’ circle. This year’s tournament was a smashing success thanks to all the players who had trained hard and played their best to the end of the tournament. Indeed, while the players may not remember whole days, they will remember these glorious softball moments for the rest of their lives! On the evening of November 11, an After Hours Concert was staged in the NTU Library when the rich collection of books magically receded into the background as the audience enjoyed the music. The concert was one of the events to mark NTU’s 90th anniversary and the 20th anniversary of NTU Library’s relocation. Featuring a jazz trio, the concert was the first of its kind to be held in library premises after hours. The trio comprised jazz pianist Yu-Ying Hsu, who had just taken home “Best Instrumental Album Producer” and other accolades at the 28th Golden Melody Awards. Hsu is also an alumna of NTU’s Department of Library and Information Science. The other two musicians were double bass player Fan Hsu and drummer Wei-Chung Lin, both noted members of Taiwan’s jazz music community. After Hours Concert in NTU Library. The concert was held in the central hall on the first floor of the Library. The hall is an airy space 8.5 m in height and 225 m2 in area. The reference collection and current periodicals are snugly shelved in the bookcases surrounding the hall while the raised ceiling and the design of arched windows that hark back to NTU’s old main library offer a pleasant, open view. This wasn’t the first time that the space had been converted for non-library use. Since the Library was relocated here 20 years ago, many impressive art activities and exhibitions have been held in this central hall. Beginning with the “Spring of Wisdom” exhibition, presented at the inauguration back in 1998, to the special exhibitions curated by NTU’s Graduate Institute of Art History in recent years, the first floor of the Library has proudly witnessed the human imagination at play. The jazz concert was just one of the events that reflect the alternative vision of art. Yu-Ying Hsu is a jazz pianist and composer born in Taiwan. Upon graduating from NTU’s Department of Library and Information Science, Hsu traveled to New York for further studies and earned her Master of Music in jazz piano performance from Purchase College, State University of New York in 2009. Fan Hsu lived in London since he was in high school. He returned to Taiwan in 2013 after graduating from the Guildhall School of Music and Drama in London. He majored in jazz performance in double bass and minored in composition, arranging, and conducting. Wei-Chung Lin studied percussion in the Berklee College of Music in the United States between 2006 and 2008, which heightened his interest in world percussion music. He has been an active musician in Taiwan’s jazz music circle since 2008.